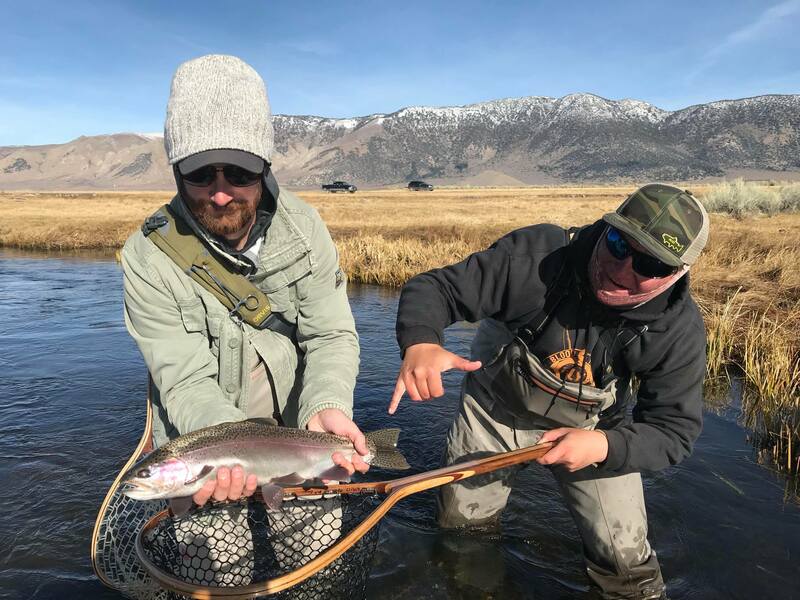 The fly fishing below Mammoth Lakes CA on the Upper Owens river in winter is a special place for any serious fly angler. Mainly because it becomes large trout hunters dream with the stream of over-sized trout swimming up from Crowley lake! Flows are low and water varies between very clear and slightly murky, both presenting different presentation situations. 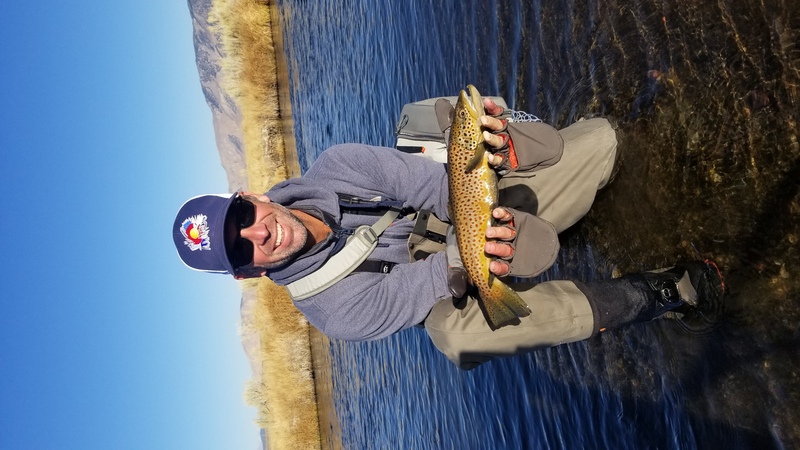 As forecasted the Trout are throughout the Upper Owens system, holding in the deepest pools and darkest runs, corners, and banks. 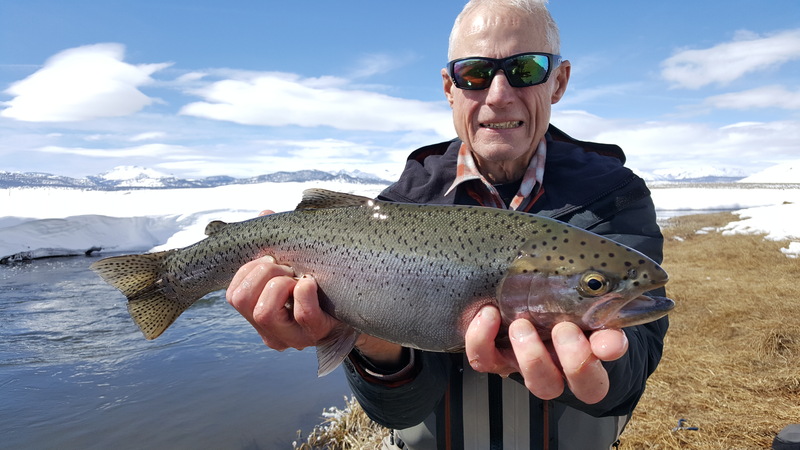 Most part of the mighty Upper O’ are fishing well. It is up to each angler to choose the correct water to fish and take into account how much time to spend in each piece he chooses. All sorts of semi salmon/steelhead reminiscent flies are taking fish. Various midge variations, and Pheasant tails/ soft hackles are other ideas to sink down in the Upper. Streamers patterns fished deep ? of course! Fish these whenever you want in any size. Just get them deep! STM guide S. Cline helps a client achieve his dream! The Upper Owens is a beautiful river to fish is these late days of July. Grass is green, flowers remain, and the river is down to a very nice fishable level! The huge fish the make their way up river in the colder months have returned to Crowley and the resident fish of the river remain. With the water levels abundant grasshoppers abound everywhere and when presented correctly can provide some reasonably violent eats against the opposite deep banks. Attractor nymphs and larger offerings are getting eaten. Fish are not giving themselves away here. The Fly Angler must cover water to have success in the Upper Owens right now. Above the Hot Creek confluence the water is a bit lower and different colour, you might also find less people. Below Hot Creek water is higher and stained a reddish tea colour. Both are fishable and we have had equal success below and above. 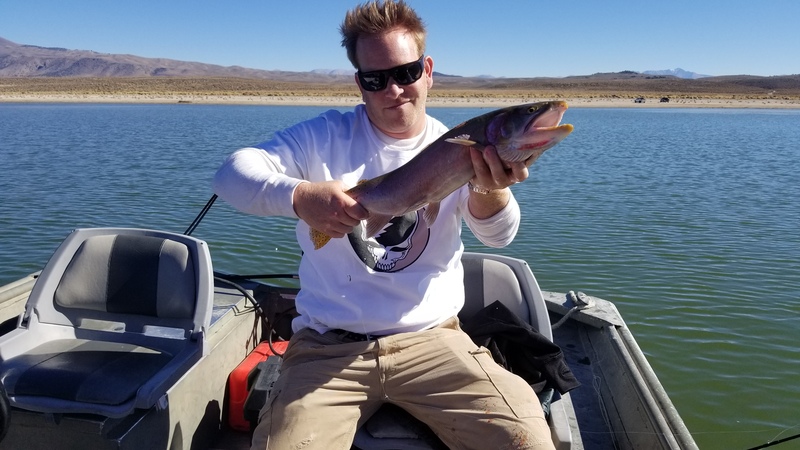 The Lower Owens Fly Fishing is pretty non existent as it is still receiving an amazing flushing flow of water… very few souls attempt to fish the River at the current level of around 700+cfs… There has been Bass and Carp taken out of the river to the East and South of Bishop. Fish the back eddies to find these fish. Even though water is high, it is relatively clear. 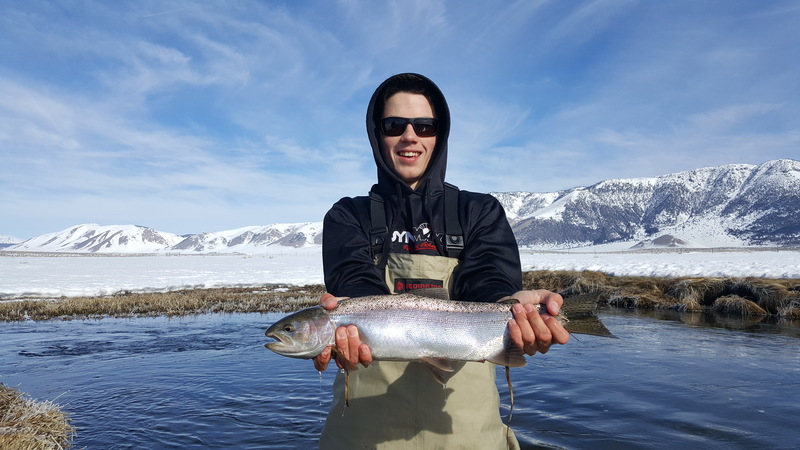 Stay tuned for this amazing fishery to finish run-off and show us what its capable of with new runs, riffles, and holes once this historical run off comes to an end. 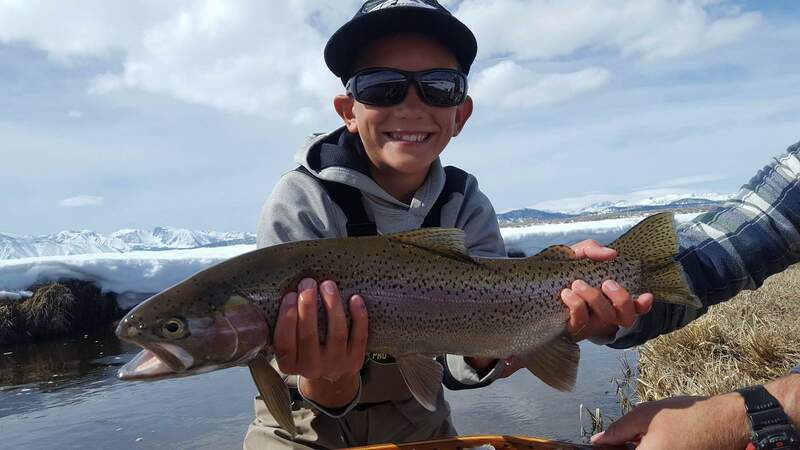 Just received this awesome video of STM guide Seth C. helping a young angler land a Trout of a lifetime. Copy and paste the Dropbox link below! 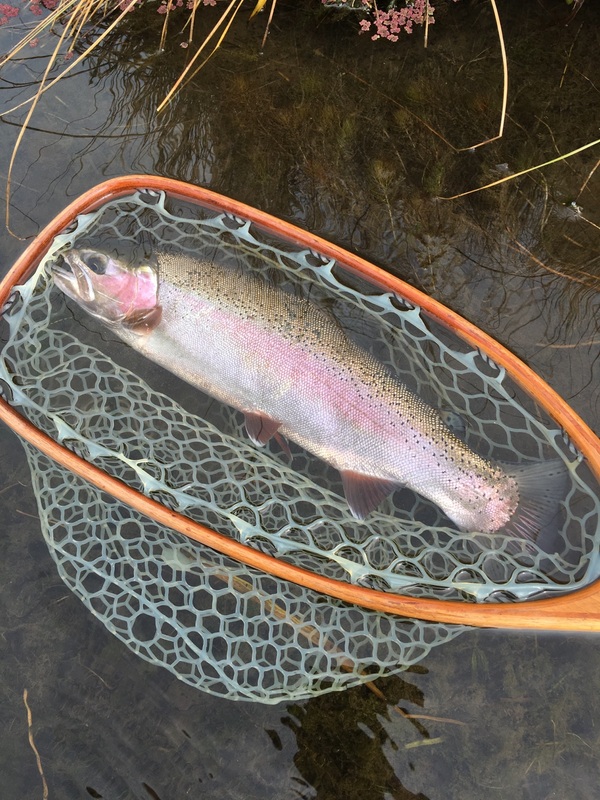 Another beauty of a Trout caught by STM Fly Fishing guide services. Proud youngster holds up his prize! The Upper Owens River continues to flow at a tea stained flow of 78cfs at the writing of this report. This is the same flow rate as previous reports and not much has changed flow wise other than a slightly stronger tint to the water. What has changed is the snow levels… although you can not drive in yet, its getting close to the time we can. Standing water is collecting on the fields of the Upper Owens and snow is soft when the sun gets high and warms the area. Arriving up river is easy in the morning while the snow is frozen solid from the night before, as the sun rises it tends to get a little more difficult as it becomes more like a slushee hike around high noon. Fishing remains around the same as my last report as you can see if you’ve been following my videos. Attractor patterns with SJ worms and sometimes eggs on hook sizes #8-18. 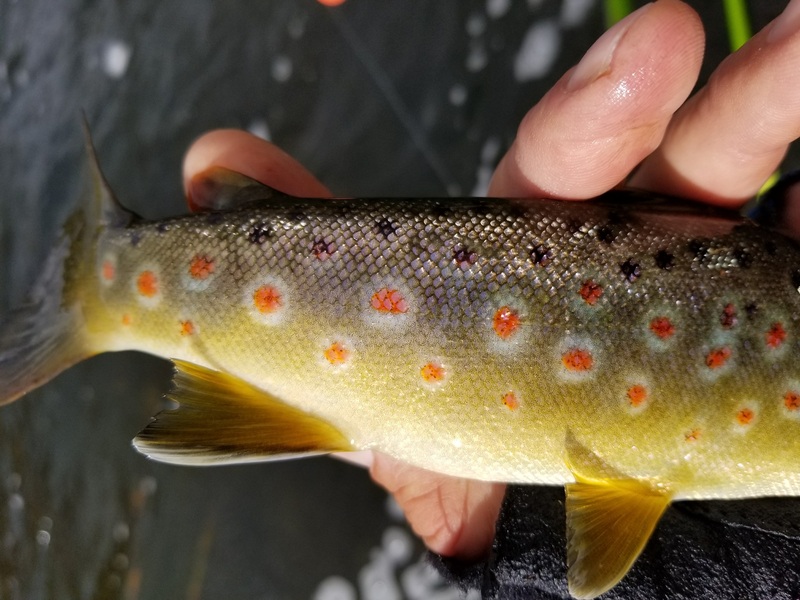 Some underwater Midge and Baetis eating has been going on by the big Trout of the Uppers system… Try the smaller midge/baetis patterns under a larger one on slower days in the clearer water sections. Streamers as usual, when fished correctly will take large trout. Fish them hard and stick with them to have success!